#NRNF #Eviation #LENR #nuclear #energy I have watched extremely competent folks preparing this black swan’s flight plan for quite some time. LENR NRNF (non radioactive nuclear flight) is being developed by the US and presented in the EU through government grants in civil aviation programs. I believe the U.S. LENR energy non-radioactive nuclear flight (NRNF) program goal is to be first in place and thereby capture significant LENR aircraft and spaceplane manufacturing market share (including piloted commercial, UAV cargo/passenger craft, and military aeroplanes and spaceplanes). From ἀήρ (aḗr, “air”) + πλάνος (plános, “wandering”). United States, in the 2012 NASA SUGAR II report, the LENR TRL (technology readiness level) was rated as low. Now, well over three years later, according to my analysis, the TRL is high (between levels 4 and 5). The LENR NRNF AEL (applied engineering level) is probably even higher (TRL 6) in military preparedness. For advanced concepts see the 2015 NARI presentation by Doug Wells “Low Energy Nuclear Reaction Aircraft”. I look forward to the NASA LENR SUGAR Phase III Final Report in 2016/2017. Also, to the works of U.S. FAA PARTNER and FAA ASCENT CLEEN Project 36 flight design leader Dimitri N. Mavris who co-authored the 2014 NASA paper ‘The Application of LENR to Synergistic Mission Capabilities’. The European Union RECREATE Program receives funding from the European Union Seventh Framework Programme. Their nuclear feeder cruiser concept is similar to the one presented by Doug Wells of NASA/NARI in ‘Low Energy Nuclear Reaction Aircraft’. The big difference being that it only considered radioactive nuclear flight and “concluded that neither airworthiness nor acceptance of the idea by the general public is within sight”. Yet at RECREATE they also document/present a paper out of DELFT U that considers LENR non radioactive nuclear flight for the feeder cruiser concept. Thermal energy from LENR matches and exceeds the quality (temperature and energy density) and affordability (safety requirements) of thermal energy from radioactive nuclear reactors, therefore it is preferred and interchangeable (see the NARI report). Being non-radioactive nuclear, LENR energy will enable these nuclear flight concepts to be realized in the near term. Early adopters of this technology for next-gen airplane and spaceplane manufacturing will capture significant air-craft market share. It should be noted that the U.S. Navy, NASA, Boeing and AirBus have all filed LENR technology patents. The U.S. Navy LENR patent was granted in 2013. Which will come first, LENR NRNFlight or a certified home E-Cat unit? Presented by IEEE which is the world’s largest professional association for the advancement of technology. Louis F. DeChiaro was awarded the Ph.D. Degree in Physics in 1979 from Stevens Institute of Technology, Hoboken, New Jersey. From 1979 to 2002, he served as an Electronics Engineer / researcher in the telecommunications industry at Bell Laboratories and Telcordia Technologies, retiring in 2002 as a Distinguished Member of the Technical Staff. From 2002 to 2006, he served as an Associate Professor of Computational Science and a founding member of the new Computational Science Program at The Richard Stockton College of New Jersey. He joined the US Navy as a civilian Physicist in September, 2006 and since 2009 been performing investigations in LENR physics and supporting the EMC efforts of Branch Q51 at the Naval Surface Warfare Center, Dahlgren, VA. During the period 2010-2012 he was on special assignment at the Naval Research Labs, Washington, D.C. in their experimental LENR group. Dr. DeChiaro is a member of Tau Beta Pi.. This paper presents an overview of several missions that exploit the capabilities of a Low Energy Nuclear Reaction (LENR) aircraft propulsion system. LENR is a form of nuclear energy and potentially has over 4,000 times the energy density of chemical energy sources. It does not have any harmful emissions or radiation which makes it extremely appealing. The global reliance on crude oil for aircraft energy creates the opportunity for a revolutionary change with LENR. LENR will impact aircraft performance capabilities, military capabilities, the environment, the economy, and society. Although there is a lot of interest in LENR, there is no proven theory that explains it. Some of the technical challenges are thermal runaway and start-up time. This paper does not explore the feasibility of LENR and assumes that a system is available. A non-dimensional aircraft mass (NAM) ratio diagram is used to explore the aircraft system design space. The NAM ratio diagram shows that LENR can enable long range and high speed missions. The design space exploration led to the conclusion that LENR aircraft would be well suited for high altitude long endurance (HALE) missions, including communications relay and scientific missions for hurricane tracking and other weather phenomena, military intelligence, surveillance, and reconnaissance (ISR) and airspace denial missions, supersonic passenger transport aircraft, and international cargo transport. This paper describes six of those missions. LENR methods have the potential to change the cost of energy in the future, which would be a revolutionary change. It is a fundamentally different type of energy compared to current resources, which could potentially introduce a higher payoff. This new source of energy is incentivizing a reevaluation of missions and architectures, much as changes were required on airframes utilizing gas turbine engines. The early gas turbine powered aircraft (or jets) looked like the previous piston-engine aircraft, but carried jet engines and performed the same types of missions with marginal performance improvement. Once research and testing provided more powerful jet engines that were better integrated with their airframes, higher operating altitudes and speeds became practical. The same scenario should be true for LENR powered aircraft. LENR is a revolutionary technology whose potential cannot be achieved through evolutionary integration onto existing airframes. 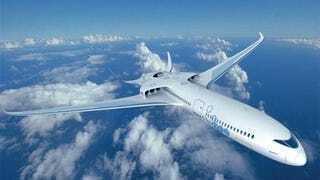 It should be very advantageous to design the rest of the aircraft around the LENR technology that has such radically different characteristics. The aircraft performance characteristics are anticipated to be different due to LENR. Aircraft would be capable of practically unlimited range and endurance. This capability would affect how aircraft are designed. Range and endurance may no longer actively constrain the design space. LENR reactors operate on small amounts of fuel for weeks or months at a time, which will lead to virtually negligible fuel fractions and constant weight missions. LENR would also impact mission capabilities, as it would also enable missions like communications relay, hurricane tracking, and polar ice observation to be performed practically. LENR would have a large impact on military applications. The U.S. military is currently experiencing increased expenditures on fuel, which can be eliminated with LENR. Energy independence would be a strong possibility for the future, and the military forces would be able to invest energy related savings in developing new capabilities (e.g. such as ultra-long endurance missions) and acquiring assets. Dimitri Mavris is the Boeing Professor of Advanced Aerospace Systems Analysis at the Guggenheim School of Aerospace Engineering, Georgia Institute of Technology, and the director of its Aerospace Systems Design Laboratory (ASDL). Dimitri Mavris received his B.S., M.S. and Ph.D. in Aerospace Engineering from the Georgia Institute of Technology. His primary areas of research interest include: advanced design methods, aircraft conceptual and preliminary design, air-breathing propulsion design, multi-disciplinary analysis, design and optimization, system of systems, and non-deterministic design theory. Dr. Mavris has actively pursued closer ties between the academic and industrial communities in order to foster research opportunities and tailor the aerospace engineering curriculum towards meeting the future needs of the US aerospace industry. Dr. Mavris has also co-authored with his students in excess of 450 publications. Dr. Mavris has received numerous awards and fellowships during his tenure at Georgia Tech. He is currently Fellow of the American Institute of Aeronautics and Astronautics (AIAA) and a Fellow of the National Institute of Aerospace. He was selected as the 1999 Santa Fe Institute Summer fellow. Dr. Mavris is also the recipient of the NSF CAREER award. He has served in several Technical and Program Committees for AIAA and is the US representative to the International Council of the Aeronautical Sciences (ICAS) Board. Academically, Dr. Mavris has been awarded Georgia Tech’s prestigious Outstanding Development of Graduate Assistants Award in 1999 and 2004, and in 2000 he received the SAE’s Ralph T. Teetor Educator of the Year Award. He is the director of the Center of Excellence in Robust Systems Design and Optimization under the General Electric University Strategic Alliance (GE USA). And he is currently the lead investigator under the Federal Aviation Administration’s Center of Excellence under the Partnership for Air Transportation Noise and Emissions Reduction (PARTNER). The Partnership for AiR Transportation Noise and Emissions Reduction — was a leading aviation cooperative research organization. An FAA Center of Excellence, PARTNER was sponsored by the FAA, NASA, Transport Canada, the U.S. Department of Defense, and the U.S. Environmental Protection Agency. In December 2015, PARTNER completed its Center of Excellence mandate and research. Similar work is now being conducted by ASCENT, a new FAA Center of Excellence. The Aviation Sustainability Center – is a cooperative aviation research organization co-led by Washington State University and the Massachusetts Institute of Technology. Also known as the Center of Excellence for Alternative Jet Fuels and Environment, ASCENT is funded by the FAA, NASA, the Department of Defense, and Transport Canada. ASCENT works to create science-based solutions for the aviation industry’s biggest challenges. Author note: This SUGAR II project developed design environment for electric flight. Directly applicable to LENR energy which would power turbines for thrust and/or electrical production for E-flight, disengaging conventional fuel design constraints. LENR non radioactive nuclear flight Hybrid Electric. (LENR NRNF/HE). LENR energy has the potential to eliminate traditional fuel burn and associated emissions. In the current concept, a LENR reactor generates heat that is distributed to heat engines that use the LENR heat instead of combustion. This concept is dependent on successful development of LENR technology, which has reportedly had some success in generating heat in a catalytic process that combines nickel (Ni) with hydrogen (H) gas(8). This process is reported to produce safe byproducts, such as copper, with no radioactive materials used and no long-lasting radioactive byproducts generated. Upon further investigation, it is thought that low level radiation may be generated during active energy cycles, but that it could be easily shielded and would stop quickly after reactor shutdown. Further development of LENR would be required to produce heat at a high enough temperature to support heat engines in a flight-weight installation. LENR physics analysis and evidence of high temperature pitting in LENR metal substrates indicate that temperatures appropriate for heat engines may have been achieved. It is thought that LENR would use very small amounts of fuel. Initial LENR testing and theory have suggested that any radiation or radio-isotopes produced in the LENR reactions are very short lived and can be easily shielded. In addition, some prototypes(9) that may be harnessing the LENR process can be controlled safely within designed operating parameters and the reaction can be shut down in acceptable time frames. This heat generating process should reduce radiological, shielding and hazardous materials barriers to entry of aviation LENR systems. Should LENR development prove successful, a few technology components will need to be developed for LENR-based aircraft propulsion. Heat engines, which run a thermodynamic cycle by adding heat via heat transfer instead of combustion, need to be developed. A system for distributing heat from the LENR core to the heat engines also needs to be developed. Additional systems may need to be developed for supporting the LENR core, including systems to deliver reactants and remove byproducts. The Ni-H LENR system would use pure hydrogen and a proprietary nickel and catalyst substrate. Hydrogen usage would be small compared to systems that combust hydrogen. Initially, hydrogen storage might involve cryogenics. The cold liquid hydrogen (LH2) fluid might be used in a regenerative system whereby cooling is supplied to super-conducting generators, electric feeders, and motors while the gas would be used as a fuel in the LENR reactor. The primary LENR by products that would require periodic removal from the aircraft are the catalyst and nickel that are contained within the reactor core. Through thoughtful design of the reactor core, preliminary information suggests that these can be easily removed and replaced. The reactor core might then be recycled at low cost, due to the absence of toxic products in the core. Multiple coherent theories that explain LENR exist which use the standard Quantum Electrodynamics & Quantum Chromodynamics model. The Widom-Larson(10) theory appears to have the best current understanding, but it is far from being fully validated and applied to current prototype testing. Limited testing is ongoing by NASA and private contractors of nickel hydrogen LENR systems. Two commercial companies (Leonardo Corp. & Defkalion) are reported to be offering commercial LENR systems. Those systems are advertised to run for 6 months with a single fueling cycle. Although data exists on all of these systems, the current data in each case is lacking in either definition or 3rd party verification. Thus, the current TRL assessment is low. In this study the SUGAR Team has assumed, for the purposes of technology planning and establishing system requirements that the LENR technology will work. We have not conducted an independent technology feasibility assessment. The technology plan contained in this section merely identifies the steps that would need to take place to develop a propulsion system for aviation that utilizes LENR technology. Note that Roger Lepsch was also co-author of the “Low Energy Nuclear Reaction Aircraft” 2015 NASA/NARI presentation by Doug Wells. “MPD Augmentation of a Thermal Air Rocket Utilizing Low Energy Nuclear Reactions” 2012 Roger Lepsch, NASA Langley Research Center; Matt Fischer, National Institute of Aerospace; Christopher Jones, National Institute of Aerospace; Alan Wilhite, National Institute of Aerospace. Presented at the 53rd AIAA/ASME/ASCE/AHS/ASC Structures, Structural Dynamics and Materials Conference. Rocket vehicles today are limited by the chemical potential of their propellants, regardless of advancements in combustion technology or engine and nozzle material properties. Increasing specific impulse for high thrust levels would widen the spectrum of feasible space mission architectures. Current (LH2) fueled nuclear thermal engine designs display these characteristics, but suffer from volume penalties imposed by the propellant’s low density. Other propellant’s such as air or water, have much higher densities, but are not capable of producing high (I sp) values. Performance of these rocket systems could be improved through the use of magnetoplasmadynamic augmentation. Previous studies have examined the performance benefits of this augmentation system, but no study has examined detail system level decisions that affect overall vehicle size. In this system, Low Energy Nuclear Reactions are assumed to be the source of heat for the thermal engine. Propellant input conditions, engine and nozzle geometry, and magnetoplasmadynamic accelerator parameters were varied to study effects on engine performance and mass of the magnetoplasmadynamic augmented rocket. Maximum specific impulses of 460 s were observed for liquid air rocket, assuming various technical challenges and constraints, including a chamber temperature of 3351 K, can be overcome. “Impact of Advanced Energy Technologies on Aircraft Design” 2014 Roger Lepsch, NASA Langley Research Center; Matt Fischer, National Institute of Aerospace; Christopher Jones, National Institute of Aerospace; Alan Wilhite, National Institute of Aerospace; 52nd Aerospace Sciences Meeting, AIAA SciTech, (AIAA 2014-0538). The impact of low energy nuclear reaction (LENR) technology on the design of aircraft is examined. Energy conversion possibilities considered and a Brayton cycle engine with a LENR heat exchanger is selected. Potential aerospace applications of LENR devices are discussed and a high altitude (HALE) unmanned aeriel vehicle with multi-year endurance is conceptualized with primary focus on energy management. Low energy nuclear reactions are a potentially revolutionary area of study in physics. Popularized in recent years by Allan Widom and Lewis Larsen, LENR are a radiation-free source of nuclear energy based on ultra-low momentum neutron catalyzed neutron reactions. On metallic hydride surfaces, Widom and Larsen contend that a chain reaction can occur in which these ultra-low momentum neutrons lead to reactions that produce considerable amounts of heat. The research leading to these results has received funding from the European Union Seventh Framework Programme (FP7/2007-2013) under grant agreement n° 284741. This publication reflects only the authors’ views. The European Union is not liable for any use that may be made of the information contained therein. The National Aerospace Laboratory NLR maintains this web site to enhance public access to information about the initiatives of the RECREATE project. This research has received funding from the European Union Seventh Framework Programme under RECREATE grant agreement no. 284741. Schuwer, T.J.H.S. “Feasibility Study of a Nuclear-Powered Passenger Aircraft” [11403 KB], Master thesis, Delft University of Technology, June 2015. RECREATE is close to the formulation of a roadmap towards airworthiness. – For RECREATE concept 1 (nuclear cruiser) airworthiness is not within reach; awaiting discovery and confirmation of new disruptive nuclear physics. – For RECREATE concept 2 (refuelling) similarity with airworthiness of autoland solutions is suggested. AW of RECREATE concept 2 is now judged as being feasible. However, if the Cruiser can be propelled by a nuclear power source the efficiency parameters are very high compared to the reference case. – Even if the weight of the system is higher. Concept is retained for study, because it cannot be excluded that new nuclear physics will be discovered and confirmed in the future. Author Note: The Boeing patent states the LENR powered turbine is scaleable, allowing Boeing to become a leading UAV microturbine manufacturer. see “LENR Energy a Boon for a Microturbine Industry Boom”. The contra-rotating forward coaxial electric motor 126 and the contra-rotating aft coaxial electric motor 128 are coupled to at least one energy source. The contra-rotating forward coaxial electric motor 126 and the contra-rotating aft coaxial electric motor 128 may be directly coupled to the at least one energy source, or through various control and/or power distribution circuits. The energy source may comprise, for example, a system to convert chemical, solar or nuclear energy into electricity within or coupled to a volume bearing structure. The energy source may comprise, for example but without limitation, a battery, a fuel cell, a solar cell, an energy harvesting device, low energy nuclear reactor (LENR), a hybrid propulsion system, or other energy source. To provide an environmentally friendly, suitable for the transport sector thermal energy source, the invention provides a power-generating device (10) for generating heat energy by an exothermic reaction in the form of a LENR by using a metal lattice-assisted hydrogen process, comprising: a reaction vessel (14) with a reactive LENR material (45) containing for carrying out the exothermic reaction, the reaction chamber (16), a field generating means (18) for generating a field in the reaction chamber (16) for activating and/or maintaining the exothermic reaction, a heat transfer means (20) for transferring heat into and/or from the reaction chamber (16), an operating parameter detecting means (28) for detecting at least one operating parameter in the reaction chamber (16), and a controller (26) which is adapted to the field generating means (18) and/or the heat transfer means (20) to control a function of the detected operating parameters for the stabilization of the exothermic reaction or regulate. This invention relates to the production of heavy electrons. More specifically, the invention is a method of making a device, the device itself device, and a system using the device to produce heavy electrons via the sustained propagation of surface plasmon polaritons at a selected frequency. Heavy electrons exhibit properties such as unconventional superconductivity, weak antiferromagnetism, and pseudo metamagnetism. More recently, the energy associated with “low energy nuclear reactions” (LENR) has been linked to the production of heavy electrons. Briefly, this theory put forth by Widom and Larsen states that the initiation of LENR activity is due to the coupling of “surface plasmon polaritons” (SPPs) to a proton or deuteron resonance in the lattice of a metal hydride. Will Airbus catch up to, and surpass, LENR applied engineering out of NASA? The race to LENR NRNFlight is on. Bremen is the European centre of excellence for manned space flight, launch vehicle stage integration and space robotics. With a workforce of around 1,000 highly qualified employees, this north German site is responsible for key European contributions to the International Space Station ISS, such as the Columbus space lab and the unmanned Automated Transfer Vehicle (ATV). As these high powered labs dial in LENR, Airbus is sure to be concurrently developing/designing LENR thermal applied engineering for aerospace and aeronautics applications. Bernhard Kotzias is employed by Airbus Defense & Space Astrium, Bremen and has been involved in LENR research for a while. He is the inventor listed in the Airbus LENR patent listed above. “New publication by Holmlid and Kotzias shows new leads to Airbus LENR research” posted at the Low Energy Nuclear Reactions LinkedIn group by Rob Woudenberg. For more about Lief Holmid’s Rydberg micro matter, ultra dense deuterium and muons, and their relationship to the LENR nuclear reactive environment, read the following analysis by Russ George. The Federal Aviation Administration is committed to the development of continuous lower energy, emissions, and noise (CLEEN) technologies for civil subsonic jet airplanes. This is to help achieve the Next Generation Air Transportation System goals to increase airspace system capacity by reducing significant community noise and air quality emissions impacts in absolute terms, and limit or reduce aviation greenhouse gas emissions impacts on the global climate. The CLEEN program is focused on reducing current levels of aircraft noise, air quality, and greenhouse gas emissions, and energy use, and advancing alternative fuels for aviation use. The focus of the CLEEN Program is to mature previously conceived noise, emissions and fuel burn reduction technologies from Technology Readiness Levels of 3-4 to TRLs of 6-7, enabling industry to expedite introduction of these technologies into current and future aircraft and engines assess the benefits and advance the development and introduction of alternative “drop in” fuels for aviation, with particular focus on renewable options, including blends. PARTNER Project 36 is a capability demonstration of how the Environmental Design Space, being developed under Project 14, could support the assessment of the potential technology packages that would be awarded under the future CLEEN program as applied to two current EDS vehicle models, specifically the single aisle and twin aisle models. Dimitri Mavros, Jimmy C. Tai, Christopher Perullo. The PARTNER Project 36 Report number PARTNER-COE-2016-001. I have read the PARTNER Environmental Design Space Assessment of Continuous Lower Energy Emissions and Noise (CLEEN) Technologies PROJECT 36 final report, from March 2016. I find no reference to LENR non radioactive nuclear flight in it, or any other of the PARTNER Project programs. I understand that this project was initiated separately, yet was worked concurrently by you, along with the development of both “The Application of LENR to Synergistic Mission Capabilities”; presented at AIAA AVIATION 2014 Atlanta, GA USA by Douglas P. Wells, NASA Langley Research Center, Hampton, VA and Dimitri N. Mavris, Georgia Institute of Technology, Atlanta, Georgia; and the development of the NASA SUGAR Phase II LENR report. This obvious disconnect, as I see it, has a natural resolution through the works of the ‘NASA SUGAR Phase III LENR Flight Map’ and the “The Application of LENR to Synergistic Mission Capabilities” works all coming together in the ASCENT CLEEN II program for new technology design space assessment along many metrics. I look forward to it. Since LENR energetics, both thermal and electric, affects the goals of most of the improved flight metrics in the PARTNER program, and since this technology has been presented to the aerospace industry by NASA, MIT and Georgia Tech, I assume it will play a large part in the ASCENT program. This is an exciting time to be following these developments. A pit of prose for the enjoyment of yous and your’n. It has been brought to my attention that Mr. Chris Perullo Research Engineer I, Michelle Kirby Research Engineer II, and Dr. Jimmy Tai Senior Research Engineer, at Georgia Tech, authors of the FAA PARTNER Project 36 Final Report, worked concurrently on the NASA SUGAR N+4 project, Phase II (LENR) report. Also that Rhett Jeffries, the U.S. Federal Aviation Administration manager of PARTNER Project 36, was a FAA representative on the SUGAR “Subsonic Ultra Green Aircraft Research Phase II: N+4 Advanced Concept Development” (LENR) project. I assume they are all still part of the NASA/NARI SUGAR Phase III (LENR) team and part of the FAA ASCENT team led by LENR flight leader Dimitri Mavris. I sent each of them the letter ‘LENR NRNFlight’. A search at Georgia Tech on 26 March 2016 for “low energy nuclear reaction” or “LENR” yielded no results... go figure! Dr. Don Grace, GTRI director from 1976 – 1993, recalls the infamous tale of the duplication of the discovery of cold fusion and the subsequent need to admit the goof to the media. It was recorded on December 7, 2006. Photo GTRI’s Cold Fusion Team (L-R): Gary Beebe, Darrell Acree, Rick Steenblik, James Mahaffey and Billy Livesay, 1989. Don Grace’s most embarrassing moment occurred in the spring of 1989. The University of Utah announced that one of its chemists, along with a co-researcher from the University of Southhampton in England, had achieved cold fusion in the laboratory. Within two weeks, researchers at GTRI confirmed the breakthrough. Reporters were called almost immediately with the wonderful news. “We had the media in and had a great presentation,” Grace ruefully said. The trouble was, the original experiment was fatally flawed due to temperature-related instrumentation errors. The Tech team, following the original experiment’s same protocols in an effort to duplicate the results, arrived at the same wrong conclusion. Only four days after their experiment, the GTRI researchers, led by Dr. James Mahaffey, detected the error. “Then came time to admit that we were wrong,” Grace recalled in a 2006 interview. Universities are notoriously adverse to admitting mistakes in public. Grace said that a number of people strongly advised against going to the media again. But he didn’t take that advice. Photographs and other media on this site are the property of the Georgia Institute of Technology. Permission is hereby granted to use these photographs and other media for news/editorial purposes in newspapers, magazines, newsletters, Web sites and broadcast news reports. Please credit the “Georgia Tech Research Institute.” For other uses, please contact comminfo@gtri.gatech.edu and include a link to the specific image or page containing the image for which you are requesting permission. Author Query: Was this cold fusion experiment ‘positive replication’ at Georgia Tech falsified to be negative like at MIT, as was alleged by Eugene Mallove? Are MIT and Georgia Tech being rewarded for scientific falsification of positive cold fusion experimental results, 1989… or is it because these institutions researchers are skilled in the art of cold fusion science… or a bit of both? It seems they are now leaders on the forefront of LENR energy applied engineering NRNFlight; FAA ASCENT, DoE, DoD, Navy, NASA SUGAR, NARI LENR, Boeing, AIAA LENR… ASME/ASCE/AHS/ASC presentation… etc... WHY? Patent US20130235963A1, from 2013, was developed in a contract with the U.S. Naval Surface Warfare Center, Indian Head Division (NSWC IHD). This patent contains descriptions of different size LENR reactors developed. US 8450704 B2 - Assignee - MIT and United States Department of Energy (Grant) Issued: May 28, 2013. This patent relates to controlled crystalline growth and may possibly be utilized to create solid state LENR energy devices. LENR patent “Low temperature fusion” is cited in both of the other patents listed here. The heavy-electron material can be, but is not limited to palladium, platinum, nickel, cobalt, niobium, tantalum, vanadium, titanium, tungsten, yttrium, and zirconium atoms. These materials offer methods for the primary embodiment. In each embodiment, the crystal lattice includes embedded nuclei of hydrogen atoms, protons, deuterons, or tritons. In the description that follows, all of these hydrogen nuclei will be referred to as deuterons. In an alternate embodiment, the heavy-electron material can be CeCu.sub.2Si.sub.2, UBe.sub.13, UPt.sub.3, URu.sub.2Si.sub.2, UPd.sub.2Al.sub.3, UNi.sub.2Al.sub.3, CeCu.sub.2Ge.sub.2, CeRh.sub.2Si.sub.2, CePd.sub.2Si.sub.2, CeIn.sub.3, and other similar materials, rather than one of the primary metals, palladium, platinum, nickel, cobalt, niobium, tantalum, vanadium, titanium, tungsten, yttrium, and zirconium. These types of materials have never been considered as nuclear fusion materials or been embedded with deuterons, prior to this disclosure. Alternatively, in another embodiment, high temperature superconducting materials are substituted for one of the primary metals. These include the doped lanthanide copper oxides, the yttrium-barium-copper oxides, those with the generic composition RBa.sub.2Cu.sub.3O.sub.7-x, where R stands for yttrium or one of the lanthanide rare earth elements or many other elements in the copper oxide family. This embodiment discusses that fusion of deuterons may be expected in any of these heavy electron systems if they contain absorbed deuterons. Factors expected to influence the establishment of proper conditions are crystal shape and orientation, the application of external forces, doping of the materials, magnetic fields, and electrical and thermal fluxes. Finally, there exist heavy-electron (heavy-fermion) materials having themselves the correct symmetry. As additional sources of fusion processes, deuterons may be embedded in one of these crystals for which the symmetry is proper already. This extends the possible materials. 1. In one embodiment, the materials must be made in one of the proper shapes. It has been noted that thin films have been successful, and this may be explained as restricting lattice interactions to the conforming planes in the film. The three-fold symmetry of the material is broken by the lack of the other perpendicular planes. Thus, the embodiment involving deuterons interacting in parallel planes explains this phenomenon. It is noted here that a thin-film, by its nature is two-dimensional, i.e., the thickness of the film is substantially negligible. 2. The same applies to sample surfaces, since any point on a surface is tangent to a single plane. The more surface area in the sample the better. The fact that powdered materials have been used successfully may be explained by the fact that the total combined surface area in a powder is very large, constituting many planes available for the interaction. Use of powders made of the selected materials is also indicated by the fact that the absorption of deuterons is much easier using them Each small particle in a powder is more likely to contain a dominant, properly oriented, single crystal, or have a favorable shape, for the disclosed interaction to be established. 3. The same reasoning may be applied to materials that have been shaped into long filaments, and there is ample evidence that this has been successful. This evidence is apparent in relevant literature in this field of technology. 4. Electric stress may be applied in many ways, but an effective way is to shape the material such that it has sharp points, e.g., as in cone shapes. There is a well known concentration of electric charges near points, such as the points of cones, when these objects are immersed in an electric field. The planes perpendicular to the gradients in electric field and electric charge are then distinguished from their two perpendicular cohorts, breaking the three-fold symmetry. 5. Electronic properties of the materials of interest vary with temperature and deuteron concentration, and are not well known. Superconductivity at low temperatures and existence of ferromagnetic and anti-ferromagnetic phases are indicators of effective responses to both electric and magnetic fields, primarily magnetic fields. A uniform magnetic field breaks the three-fold symmetry properly as described in item 4, and acts strongly on any of the magnetic phases. 6. In other embodiments, magnetic fields may be used to induce the de Hass-van Alphen effect. This is an effect in which the magnetic susceptibility of the material varies periodically as an applied magnetic field is increased. The effect may be caused by the discrete energy levels of closed orbits of electrons in a partially filled conduction band. As the field changes, the Fermi energy level alternately falls within or without these levels (Peierls, 1955 and Ziman, 1965). As may be seen in FIG. 143 of Ziman (1965), the closed electron orbits may be on or near the Brillouin zone boundaries, on the wave length scale just where an interaction effect is required to excite the very short wavelength deuteron vibration. The de Hass-van Alphen effect couples with the electron charge distribution at these length scales, and this in turn couples to the interaction of the electrons and the lattice. This effect offers a good opportunity to initiate the low temperature fusion effect. 7. A time varying magnetic field may be added to the magnetic field inducing the de Hass-van Alphen effect in No. 6 above to aid in the excitation of the desired vibration modes. One method of doing this is to place the metal hydride in a resonant electromagnetic cavity at the region of the cavity’s strongest field excitation. In this example, the cavity may be placed in a uniform magnetic field to achieve the conditions for the de Haas-van Alphen effect in the presence of these strong field excitations in the cavity. A uniformly applied mechanical stress may break the crystal symmetry properly, while a non-uniform stress applied to a polycrystalline sample may break the symmetry differently in different portions of the sample. It is known that uniform stress may alter symmetry. Allied with this kind of symmetry breaking is that associated with dislocations and thermal annealing. Another embodiment to apply an alternating stress is by means of acoustics. As an example, recent developments have allowed the use of lasers to generate very short powerful and controlled acoustic waves in materials (Feuer, 2003). Generating excitations acoustically is one way to enhance the desired lattice excitations. Excitations may also be generated using infrared interactions via Raman scattering. can’t find 8 or 9… can you? 10. There are many examples in materials research in which super-lattice materials have been constructed. A super-lattice is a crystal structure which has a lattice regularity larger than that of a normally structured crystal. The super-lattice periodicity is on a larger scale. Where a normal material has a basic set of atoms in its unit-cell with this cell repeated evenly throughout, a super-lattice has a unit-cell that repeats at intervals larger by an integer multiple. The large cell has regular substitutions made in the basic atomic set by other atoms. By substituting other atoms, a crystalline material may be constructed with the proper layered symmetry with a single parallel set of planes. Silver atoms, for example, may be placed in layers parallel to one of the planes of deuterons in titanium. The dynamic localization effect may cause a screening effect for the deuterons, may be found to occur stronger in super lattices (Dunlap and Kenkre (1986)). A method of exciting the dynamic localization effect has been described in Ghosh, Kuznetsov, and Wilkins (1997). 11. Electronegative or electropositive atoms may be selected for substitution (also known as doping) depending on whether more or fewer electrons are wanted in order to vary the Fermi energy level within a conduction band in the material. The doped material may easily transform from an electrical conductor to a (Mott) insulator depending on whether the d-band is less than or greater than half full, e.g., whether the Fermi level is toward the bottom or the top of the band. The state of the band is important relative to application of the de Hass-van Alphen effect in No. 6 above, and No. 12 below, as an example. 12. The atoms for substitution (in Nos. 10 and 11 above) may be selected so that the d-band is not filled. For example, it may be selected to place the Fermi level at the proper place in the d-band such at the wavelengths that correspond to the boundaries on the smaller Brillouin zones produce an effect comparable to a periodic Peirels instability. The Brillouin zones are smaller in a super lattice because the spatial periodicity is larger. Even if a periodic instability is not induced the static instability may be used to aid in the three-fold to single plane (3-D to 2-D) symmetry breaking. As a United States Department of Defense (DoD) Energetics Center, Naval Surface Warfare Center, Indian Head Division is a critical component of the Naval Sea Systems Command (NAVSEA) Warfare Center (WFC) Enterprise. One of the WFC’s nine Divisions, Indian Head’s mission is to research, develop, test, evaluate, and produce energetics and energetic systems for US fighting forces. Energetics are explosives, propellants, pyrotechnics, reactive materials, related chemicals and fuels and their application in propulsion systems and ordnance. As the largest DoD full spectrum energetics facility and leader in the Navy’s energetics enterprise, NSWC Indian Head employs a workforce of more than 1,400, of which more than 850 are scientists, engineers, and technicians dedicated to developing and sustaining explosives, propellants, pyrotechnics, high-energy chemicals and their application to warfighting systems. In addition, NSWC Indian Head has the largest concentration of PhDs working in Energetics in the WFC, including the highest number of synthesis chemists, detonation physicists, and formulation scientists dedicated to the energetics National competency. The Division’s unique synergy and balanced capabilities address all aspects of the Energetics technical discipline, including basic research, applied technology, technology demonstration, prototyping, engineering development, acquisition, low-rate production, in-service engineering/mishaps and failure investigations, surveillance, and demilitarization. If the military experience problems with current weapon systems, or encounter new threats on the battlefield, Indian Head Division collaborates and provides the appropriate solution. As the Navy’s lead technical authority in the U.S., NSWC Indian Head performs over 60% of all Navy energetics workload, and has an unmatched record of 13 Navy-qualified explosives transitioned into 47 Navy, Army, Air Force, and Marine Corps weapons. Seventy-five percent of all explosives deployed in US weapons were developed by NSWC Indian Head. One of ten divisions of the NAVSEA Warfare Center Enterprise, the main site for NSWC IHD is located at Naval Support Facility Indian Head, a 3,500-acre peninsula along the Potomac River in Southern Maryland. It also maintain operations in McAlester, OK; Colts Neck, NJ; Ogden, UT; Louisville, KY; and Picatinny, NJ. NSWC IHD has the largest US workforce in the DoD dedicated to energetics. $25,000 was received in 2008 from NSWC, Indian Head Division, to design experiments, review reports, and analyze data. The experiments verified heating using powdered/granulated fuel. This invention pertains to the field of fusion reactors as an energy source. This invention addresses the problems that occur with fission reactors such as the associated radiation and necessary heavy shielding required because of the radiation. It also addresses the high temperatures needed in the design of current fusion research reactors. Further, this invention addresses the problem of the national dependence on fossil fuel by providing an alternative source of energy for power plants and engines that currently depend upon fossil fuels. Current approaches to obtain energy through nuclear fusion involve methods of heating combinations of 1H1, 1H2and/or 1H3 to very high temperatures in order to overcome the high coulomb repulsive forces between the protons involved. These high temperatures require the use of electromagnetic field containment in order to prevent the melting of the containment vessel. These reactors have shown nuclear fusion, but not in a manner that would allow the design of a practical energy source. For the most part, Cold Fusion devices are designed and tested without the aid of an assisting fundamental theory predicting the desired phenomena. Neither the high, nor the low, temperature fusion research has resulted in a clear road to a practical energy source, despite the claims of both sides. Weyl’s Quantum Principle, of 19291,2,3, has been shown to produce the equations of quantum mechanics and the gauge field equations. In particular, the gauge field equations of interest are the electromagnetic field equations of Maxwell. The Maxwell equations have been used to obtain the singular, 1/r, electromagnetic potential currently used for the charged particles and are the potentials used to calculate the coulomb repulsion between two protons. However, a closer study of Weyl’s quantum principle shows that this principle not only requires Maxwell’s field equations, but it also requires that the charge on a particle must be quantized. Experimentally, this is known to hold without fail, yet this is the first theory that requires the quantization of charge from a theoretical necessity. The quantization of electromagnetic fields in Maxwell’s equations produces a more general electrostatic potential than the currently used one. This more general potential is non-singular. That is, the potential has a maximum absolute value and approaches zero as the separations of particles are brought infinitely close together or taken infinitely far apart. This non-singular potential changes the picture of a neutron and the nucleus, plus it provides a description for how nuclei interact. This new picture of a neutron is simply a proton in orbit around a virtually stationary electron. Therefore, a deuteron, which is a neutron plus a proton, may be described as two protons in orbit around the electron. See FIG. 1. Each deuteron has a magnetic moment whose spin axis is normal to the plane of the three particles and the axis of deuterons may be aligned end to end by the use of a magnetic field. Once this preconditioning has been done, if the deuterons are nudged together, the long range repulsive interaction between protons causes the protons of the approaching deuterons to stay as far from each other as far as possible. See FIG. 2. The protons, therefore, self align to establish the minimum threshold energy for fusion. On the other hand, the electrons repel other electrons though they may be attracted to protons. A very stable configuration may be obtained by the fusion of two deuterons. In this stable configuration the four protons are in orbit in a plane about an orbit spin axis while the two electrons are located on the spin axis equal distances above and below the plane of the protons orbit. See FIG. 3. The forces of the interactions between all six particles of the two deuterons have been written down and studied. However, since they are transcendental equations, they have not yet been analytically integrated, but have been submitted to a computer spreadsheet solution to determine the numerical value of the fusion threshold for different methods of nudging the deuterons together. 1. Williams, P. E., “Mechanical Entropy and its Implications” Entropy, Vol 3, 76-115, 30 June 2001. 2. Williams, P. E., 1980, “The Dynamic Theory: A New View of Space, Time, and Matter,” Los Alamos National Lab report LA-8370-MS, December, 1980. 3. Williams, P. E., THE DYNAMIC THEORY—A NEW VIEW OF SPACE-TIME-MATTER, Williams Research, ISBN 978-0-615-44711-7, March 2011. This conditioning is obtained by placing the deuterons into a crystalline lattice to hold them near each other. The crystalline lattice is placed in a strong magnetic controlling field to magnetically align the spins of the deuterium nuclei thereby starting the reaction. The addition of the heat causes the deuterium nuclei to vibrate within the crystalline lattice and this provides their motion with respect to each other which increases the reaction rate. FIG. 1: This figure depicts the configuration of a deuteron nucleus consisting of two protons orbiting around an electron. FIG. 2: Two deuterium nuclei being nudged together while a magnetic field aligns their spins causing the protons of one nucleus to orbit 90 degrees from the protons in the neighboring nucleus. FIG. 3: Two aligned deuterium nuclei may fuse together into a helium nucleus with the four protons orbiting in a plane 90 degrees from the axis of two electrons. FIG. 4: This figure shows how permanent magnets may be used to align the spins of the deuterium nuclei in the sample. FIG. 5: Thermo-electric diodes and metal hydride crystal fuel cells may be stacked together so that heat generated from a single fuel sample may power several diodes. FIG. 6: Integrated reactor design showing cooling channels and electrical connections. Hold the atoms in the desired position for them to preferentially fuse and form a helium atom (FIG. 3). The rate of fusion depends upon quantum tunneling of the deuterons through the non-singular potentials of the nearby protons and the electron of the other deuterium nuclei. The rate of quantum tunneling, and therefore, the rate of fusion is controlled by the alignment of the deuterium nuclei and by either changing the separation of the two deuterons, their relative velocity, or both. The specific separation of the nuclei is set by the crystalline lattice spacing but their relative vibration velocity is determined by the temperature of the crystalline lattice. Therefore, while the magnetic field provides the alignment and the primary means of controlling the fusion rate, the temperature provides an additional means of controlling the rate of reaction and the rate of energy production. The operating temperature of a particular deuterium reactor will be established by type of heat removal, the spacing of the metallic lattice, and the desired energy production. The design of the reactor must include a means of carrying the energy away from the heat generation site, magnetic field control, and for temperature control. A low temperature method of carrying heat away is provided using thermal diodes which operate at temperatures less than 300 to 400 degrees centigrade (FIG. 4). Temperature control and a method of carrying away waste heat may be through the use of water flowing through channels in, or surrounding, the metallic hydride (FIGS. 5 and 6). The heat energy may be taken from the cooling water as in fission reactors where the operating temperature may be higher than thermal diode operating temperature. Alternatively, the heat generated may be carried away from the reacting crystalline material directly without the use of the temperature limiting thermoelectric diodes. This may be done with a pressurized fluid so the temperature limit may be different from the 300 to 400 degree centigrade thermoelectric diode limitation. Once the heat is removed from the crystalline lattice containing the reacting deuterium nuclei it may used in any method needed. One such method may be the use of a secondary fluid to form steam. Or the heat carrying fluid may be used in a heat exchanger to heat another fluid such as asphalt. A simple, desktop reactor design would include a sample of material placed upon a thermoelectric generating diode (TEG) and then placed in a magnetic field created by permanent magnets. A crude depiction of the reactor may be seen in FIG. 4. The sample material should be sealed in a non-magnetic container that is flat, either round or square. It may be preferable, but not required, that the sample material be sealed in an inert gas such as argon if the fuel material is sensitive to moisture. The thermoelectric generating diode (TEG) may be one such as supplied by Custom Thermoelectric of Bishopville, Md. which produces 227 mV/° C. The voltmeter should have about 200 mV full scale so as to read roughly 1.8° F. at full scale. The holder should be designed to allow the low temperature side of the TEG to rest upon the lower magnet so the magnet may be used as a heat sink to maintain the temperature of the low side at a constant value. The magnet stack may be made of 1″ diameter, 1″ high NdFeB, Grade N52 magnets such as supplied by K&J Magnetics, Inc. By using three magnets on the tall stack and one each above and below the sample the magnetic field should be of the order of 56 kilo gauss. Let the sample rest outside the magnetic field for a period of time to see that the voltmeter reads zero as the two sides of the TEG are at the same temperature. Place the sample and TEG into the magnetic field and observe the voltmeter for any voltage readings. One might expect between 0.5° F. to 1.0° F. in 10-20 minutes. This should show up as a reading of 60-130 mV on the voltmeter. 7. Digital control circuitry will be used to control the magnetic field which is obtained using electrical circuits embedded into the reactor. The power measured in the Navy’s powder experiments was 1.77 milli-watts per gram. The reduction of reaction rates from a solid fuel to the random alignment obtained in powdered fuel is the statistical reduction of 7.72×10−6. This means the solid fuel power may be approximately 230 watts per gram of solid fuel. To provide a 10 kW power supply at 230 watts per gram would require 43.5 grams of fuel. If a conversion efficiency of 20-25% is assumed applicable, then some 200 grams of solid fuel would be required. Given a thermal diode with the specifications: Imax (Amps) 3.0, Qmax (Watts) 28.3, Vmax (Volts) 15.2, DTmax (° C.) 67° C., 2.5 cm square, and 0.5 cm thick. This means that we should be able to get 25 watts from each diode with a volume of 3.125 cm3. Then 10 kW would require 400 diodes, or 2,500 square cm of diode surface. By putting a diode on each side of the fuel this would require a 1,250 square cm fuel slab. For fuel density of 0.8 grams/cc 200 grams of fuel would require 250 cc of fuel. This volume would provide the required surface area if it were in a slab only 0.2 cm thick. This is a volume of fuel that is 35 cm×36 cm×0.2 cm or 14 inches×14 inches×0.08 inches thick. By putting diodes on each side of the fuel we now have a reactor pack 14 inches×14 inches×0.48 inches thick. Alternatively, multiple layers of diodes may be placed on both sides of the fuel to increase the thermal efficiency of the reactor by using the waste heat of the inner diodes in the outer diodes. In order to establish an operating temperature for the thermal diodes we need of include a cooling system that maintains the temperature of the outside of the thermal diodes at a thermostatically controlled temperature. The cooling system would consist of a cooling jacket around the reactor pack, a liquid pump, a thermostat, and a radiator with a fan to maintain air flow as needed. On the outside of the diodes we place a liquid cooling jacket that is 0.5 inches thick with channels for liquid flow. The reactor pack is now 15 inches×15 inches×1.48 inches thick. To provide a source of power for the magnetic control field and to allow for surges in power demand without requiring rapid reactor output changes, we connect the thermal diodes to a battery bank of perhaps 4 large deep cycle 12 volt batteries. The 12 volt DC energy can then be converted into AC power by using one or more standard inverters. The magnetic control field will consist of wires embedded into the reactor pack to form coils so that the magnetic field through the reactor fuel may be controlled in order to align the field to start the reactor and alter the field to control reactor output level or to shut the reactor down. The magnetic field control will be a digital computer that monitors power demand and reactor conditions and supplies the correct current to the various coils to obtain proper reactor response. 6. Magnetic control module 12×12×9 inches, 1,296 cubic inches, weight 5 lbs. These estimates total to an overall size of 99.4 ft3 and 300 lbs. This size is approximately 4 ft×5 ft×5 ft, or slightly larger than a home air conditioner compressor. The efficiency of the flat design used above is limited to the efficiency of a single TEG. Multiple TEGs may increase the efficiency by using the waste heat from one TEG in more TEGs before the cooling plates. This type of design also reduces the volume and weight of the various reactor designs. The multiple TEG design used in a double stack configuration is shown in FIG. 5. The multiple TEG, double stack configuration may be further incorporated into an integrated design using almost any desired number of double stacks as shown in FIG. 6. An intermediate scale reactor (0.5 to 5 MW) may be made using this fusion reaction that could power trucks, trains and other mobile users of power. Locomotives have fairly large volumes available for developing the power they need. They also have a well-developed generator, motor final drive system and waste heat removal system. Typically locomotives need high power output levels without the demand for rapid power level changes that is placed on a truck engine. These factors argue that direct steam generation may offer an economic method of carrying the energy away from the reactor for locomotive applications. The typical manner in which trucks are used places many demands for rapid power level changes upon the engine. Rapid power level changes are not supported easily by steam systems. Over the road trucks might be able to use steam systems to carry the energy from the reactor, but delivery trucks would probably not be a candidate for steam and would rather seem to be best served by the thermoelectric generator system. A large scale reactor such as one for use on a ship or at a major power plant (approximately 10 MW and higher) will likely work best by carrying the energy away through conversion of the heat generated by boiling water or by a pressurized water system. This means that a large scale reactor may be designed in such a way that the fusion reactor simply replaces the fission reactor in current power plant designs. Thus there is no major difference between a large scale fusion power plant and current fission power plants in how the heat is carried away. The real difference lies in the generation of the heat. This difference is a large difference. The fuel material for the fusion reactor is a crystalline Deuteride that involves no radiation. The reaction, being the preferential fusion of two deuterium nuclei to form a helium nucleus, emits no radiation. The waste product, helium, is non-toxic and emits no radiation. Therefore, no special handling of either the fuel or the waste is necessary, though collecting the helium produced may have advantages. This offers a serious reduction of hazards in the use of a fusion large scale reactor. The reduction of special handling and required shielding offers great reductions cost and size of the large scale fusion reactors. The development and use of the above series of fusion reactors would significantly impact several sectors of our lives and the Earth’s ecology. This impact should be considered before and during any development of these reactors. The potential development of all sizes of the above discussed fusion reactors would make a significant reduction in the demand and use of fossil fuels. For example as fusion takes over the responsibility of providing electric power the use of coal would drop considerably. The use of coal for home heating would also be unnecessary when home fusion reactors begin supplying energy for the individual home. Fusion automobile power plants coupled with fusion power plants driving trucks, trains and ships would markedly reduce the use of gas and oil. Even the use of natural gas and oil for home heating would not be needed for the home with its own nuclear reactor. The reduction and virtual elimination of the use of fossil fuels would have a tremendous impact upon the Earth’s environment. The pollution currently produced would be almost totally eliminated. The production of green house gases almost stopped. The global impact of the transfer of wealth due to oil production and sales is constantly in the news. Countries and individuals owe their wealth and well-being to the money that their oil production brings. Individual and country wealth has followed energy production since the beginning of the industrial revolution set in motion by the control of energy. Those countries and individuals whose wealth is based solely upon the production and sale of oil would see their source of wealth dissipate with the development of the fusion reactors. This short paper cannot, nor intends to try to, do justice to a discussion of the economic impact that the above fusion reactors would have on energy production. Coal production by the five top coal producing countries exceeds some 5,000 Mt per year. This represents a significant portion of the world’s energy production following behind that of the oil industry. This industry would also see a reduction in the demand for its product with the development of fusion reactors. Energy distribution is big business. Every home owner or business owner or operator has a utility bill that covers the energy used. Many, if not all, of these distribution companies also produce the electric and gas forms of energy that they distribute. Some may have nuclear and water-driven power plants to generate some of the electric energy they distribute while almost all have oil or coal fired power generation plants. Large scale fusion reactors would eliminate the need for these oil and coal fired power plants. Industries having large plants that use a lot of energy may install their own large scale reactor and not need to draw their power from a distribution grid. Indeed with homes and industries installing individual reactors the existing large power distribution grids may become a relic of the past. While this might wreck havoc with the distribution companies’ income, it would eliminate concern over a power grid failure from either a breakdown or terrorist act. At first blush it may appear that the utility companies may lose their income should the fusion reactors replace the oil and coal powered plants. However, this may not be mandated by such development. The fusion reactors must be manufactured and maintained. This could be the role of the utility companies. They could manufacture or obtain the reactors and then deliver them to each home through sales or leases and provide for the minimal maintenance they require. A system for modifying dislocation distributions in semiconductor materials is provided. The system includes one or more vibrational sources for producing at least one excitation of vibrational mode having phonon frequencies so as to enhance dislocation motion through a crystal lattice.